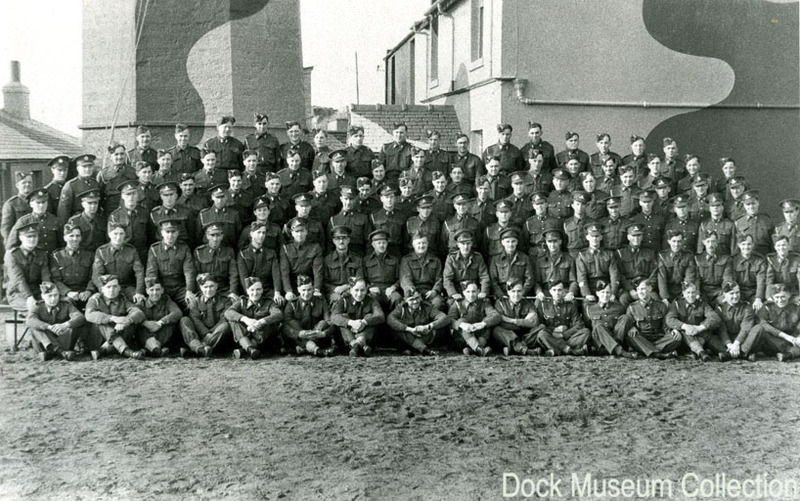 Black and white photograph of army soldiers stationed at Hilpsford Point, 1940 -1943. donor, Thomas Oswald Burton is 2nd row from the back, 3rd from right. Walney Lighthouse is in the background. It can be seen from this photograph that the lighthouse and houses next to it were camouflaged during the Second World War.